The hardest part is trusting G-d. Moshe didn’t trust G-d and acted out his fear. If Moshe didn’t act out on his fear nothing would have happened. When I act out on my fear bad things happen. Learning not to act out on my fear is hard yet it must be done. Every day I am learning this very lesson. Moses’ mother Yocheved secretly placed him in a basket in the Nile River. He was discovered by Pharaoh’s daughter, Bitya, who adopted him. Bitya employed Yocheved as Moses’ wet nurse, and thus Moses grew up in his family’s household. Yocheved kept Moses at home, so he joined Pharaoh’s household only at age 12 or so. Pharaoh knew that Moses was a Jew, but he hoped that by raising him as an Egyptian, his exceptional intelligence and talents could be put to good use in Pharaoh’s government. When Moses was about 18 years old, he saw an Egyptian taskmaster beating a Jew mercilessly, and killed the taskmaster. As Moses feared, Pharaoh heard of this and sentenced him to death. Moses should have trusted in G‑d’s protection, but because he did not, he forfeited it. Pharaoh therefore heard about the incident and sought to kill him. 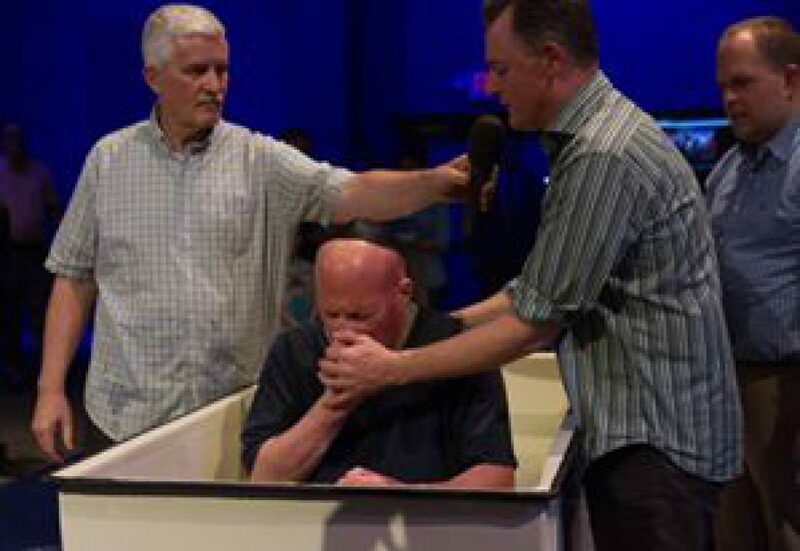 Had Moses not been afraid – and not voiced this fear – nothing would have happened. Similarly, when we face obstacles in fulfilling our Divine mission, we should realize that we can earn G‑d’s helpful intervention by trusting that He will help us. Feeling confident of G‑d’s help does not mean that we should not take whatever natural steps are necessary to avoid trouble or to solve our problems; it merely means that we should trust G‑d to crown our efforts with success. Our sages teach us that it was in the merit of their confidence in G‑d that the Jews were delivered from Egypt. Similarly, our confidence that G‑d will redeem us from the present exile will itself hasten the Redemption.1 Likutei Sichot, vol. 36, pp. 1–6, based on Chovot HaLevavot, Sha’ar HaBitachon 2, 3; Ikarim 4:46; Kad HaKemach, s.v. Bitachon, etc. The following ideas and thoughts are taken from my Class on the Tanya taught by Rabbi Gordon. If we don’t study Torah we won’t know what Judaism is. 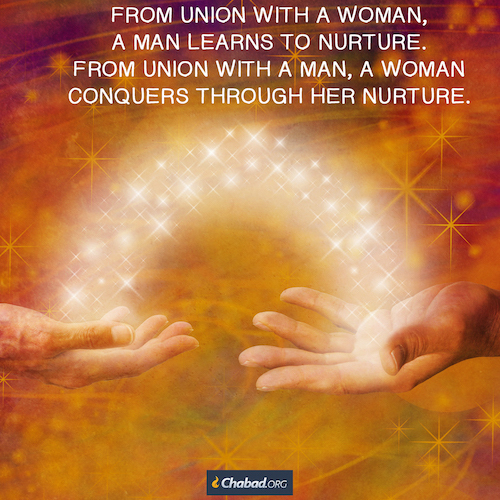 By studying Torah, we learn who G-d is and our heritage. This is the only way we can get the access code to G-d. Studying Chasidism transforms our entire value system. We develop a love and fear of G-d. By studying Talmud Torah changes our lives. Jew is a Jew is a Jew. This is our DNA. 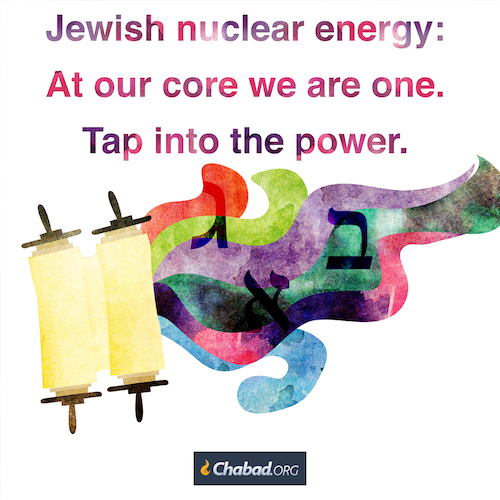 We all have a spark of Jewishness. This is traced through inheritance. We have deep within us a spark of G-dliness. Impurity tells me that I am G-d. I must murder this out of me so I can get ready for Yeshua. 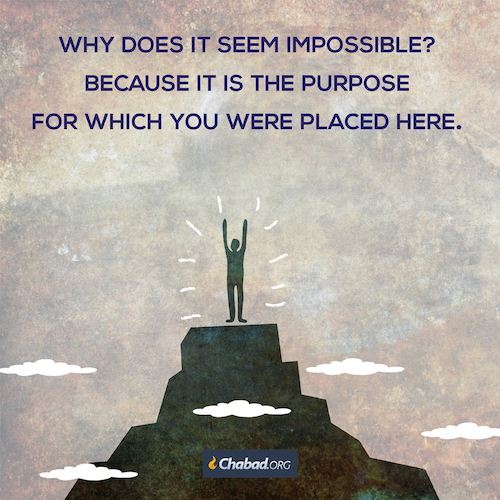 Nothing is outside of HaShem. Even impurity is an extension of HaShem. When HaShem energizes impurity and unholiness HaShem does it with tremendous contraction and concealment of Divine energy. This is done so we can have freedom of choice. Even if all the Jewish people worshipped idols, but lived together in peace, the sages taught, G‑d could not punish them. 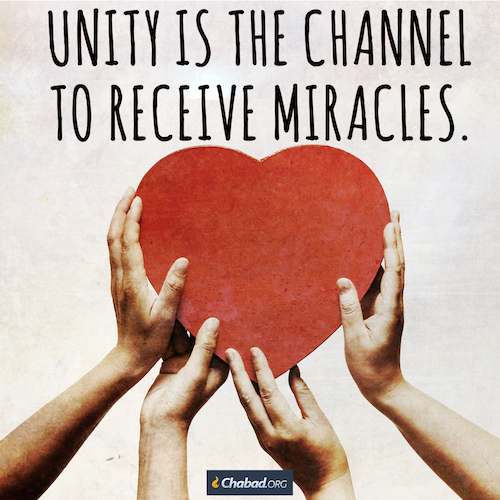 All the more so when they are united in a good cause—that oneness is a receptacle wide enough for open miracles. Simchat Torah 5737, sicha 7. Torat Menachem 5752, vol. 2 page 361. Based on Derech Eretz Zuta:9. How can we heal the world? By being one. 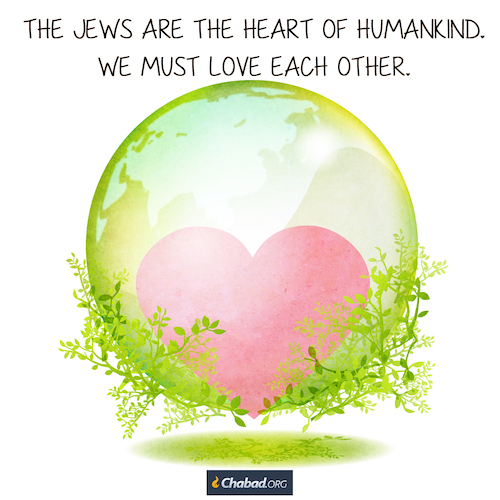 If, wherever you go, you carry there every other Jew in your heart, then all of us are one. And when we are one, all the peoples of the world can live in harmony as one. And then the world is healed. For we are the heart of the world. they were a single being. so that they could achieve a higher union. Because now it is through their own effort. 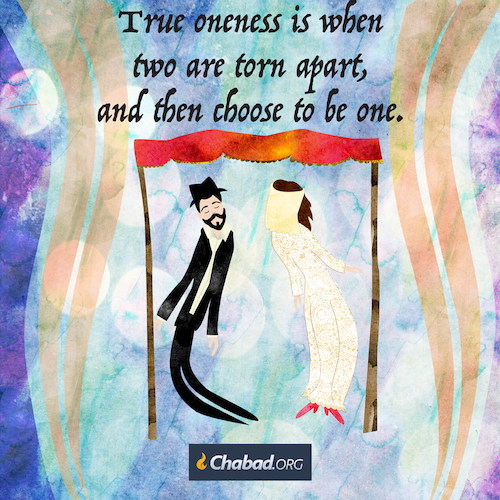 A king without a queen, the Zohar says, is neither great nor a king. For it is the woman who empowers the man to conquer. And it is the man who empowers the woman to nurture. And then the man will learn from this woman that he, too, can reach within others and provide nurture. And the woman will learn that through nurture, she can conquer. 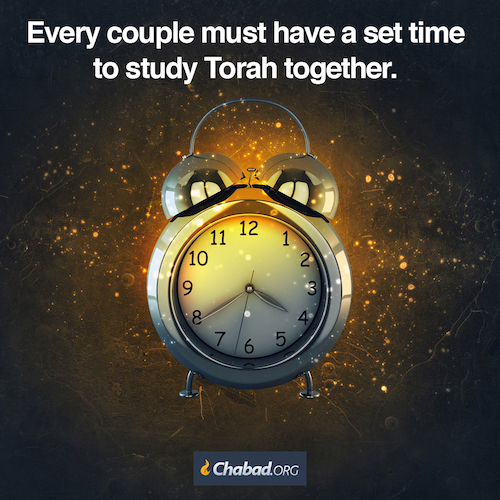 Every couple must have a set time to study Torah together. What should they study? Something that interests both of them—such as the Torah portion of that week, or something about the Torah seasons approaching. From a letter, published in Hitkashrut, no. 70.